Base Line Slackline - 50? Closeout. 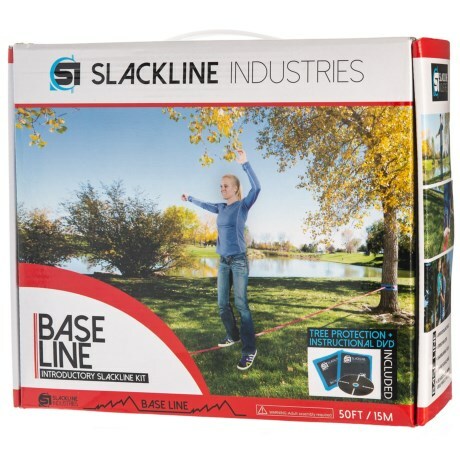 Complete with 50 feet of slackline, this Slackline Industries Base Line slackline helps you strengthen your core and balancing skills in the beautiful outdoors. Available Colors: SEE PHOTO.